A training aircraft of Bangladesh Air Force (BAF) crashed at Rasulpur in Madhupur upazila of Tangail on Friday afternoon. 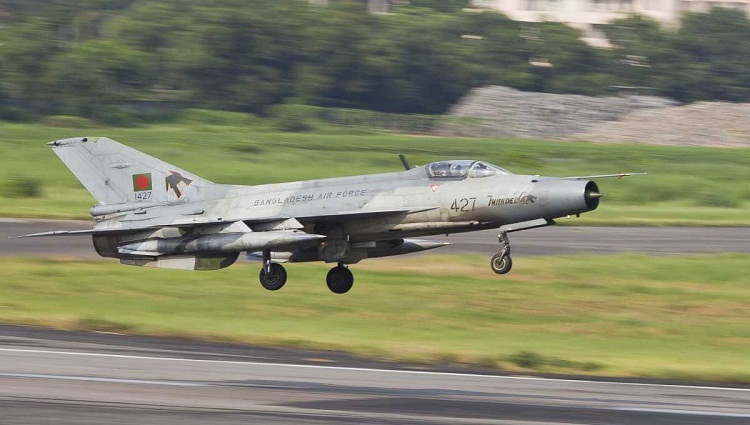 Rezaul Karim, assistant director of Inter Services Public Relations Directorate (ISPR), said the F-7 aircraft crashed around 3pm during an exercise. Further details of the incident are still awaited.